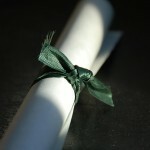 Home Blog What Is a Diploma Mill? Well, actually, that is right. Diploma mills are shady organizations that churn out fake degrees while taking you, and your hard-earned money, on a roller-coaster ride. There are two types of diploma mills. The first is an organization that offers low-quality classes to unsuspecting students. You do homework and take exams that are never actually reviewed by a real professor. At the end of your coursework, you’re offered a “degree”, which is really nothing more than a fancy piece of paper. Lucky you, huh? The other type of diploma mill doesn’t even go this far; this shady organization simply takes your money, and then gives you a “degree.” You don’t even have to waste time working for it! It can be easy to fall prey to a diploma mill. Oftentimes they have snazzy websites and boast accreditations and testimonials just like the real schools. So, how do you tell the difference? Diploma mills often have names that are very similar to reputable schools. They do this to “piggyback” on other schools’ reputations, so keep this in mind when you’re doing your research. Many diploma mills will go on and on about how “accredited” they are, and even list the organizations they’re accredited with. However, these might be phony accrediting agencies that merely sound like the real deal. When you’re doing your research, double-check their accreditation claims. Use your common sense. If the school is claiming they can get your Bachelor’s Degree in one year, or a Master’s Degree in two, then raise your red flags. It’s impossible, in every sense of the word, to earn degrees this fast. Beware if the school does not request transcripts from previously attended institutions. If the online school doesn’t want (or need) to see your transcripts or test scores from past schools then be leery. This could be a red flag that they’re a diploma mill. Also, if they charge one lump sum per degree ($1,500 per associate degree, for instance, or $2,500 per bachelor’s degree) then take a step back. Most reputable schools charge per course or per credit hour. Schools that give you one lump sum are best avoided. When you visit a school’s website, pay attention to how detailed it is. Do they offer complete contact information? If so, call them up and make sure it’s really them on the other line. Do they provide detailed information about their classes, and tell you exactly how many classes it will take to get your degree? Diploma mill websites are often vague and fuzzy when it comes to the nitty gritty, so keep this in mind when you’re doing your research. It can be devastating to find out that, after your investment and hard work, that you’ve wasted it all on a degree that counts for nothing in the real world. Put in the time up front to thoroughly investigate the school you’re interested in so you don’t get caught in a bad situation later on!